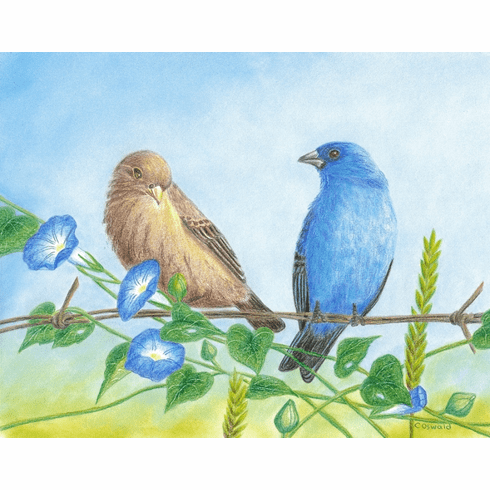 "Indigo Buntings" is an original colored pencil drawing by the nature artist Cristolin. The beautiful blues of the male and his surroundings make a perfect contrast with the soft browns of his lovely mate, and will brighten any room. The birder in your life would be sure to appreciate this as a gift, either by itself or in combination with other bird prints by Cristolin. The series would look lovely in an office, family room, or in the room of a young child.